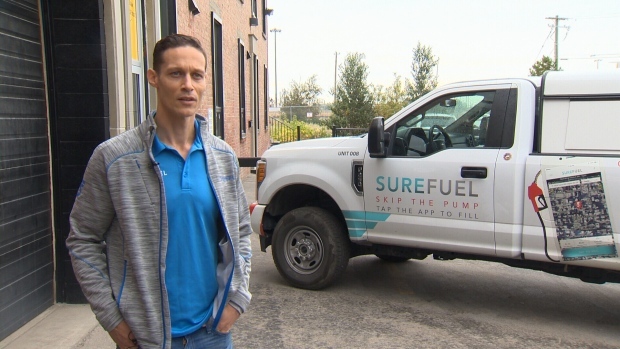 Maxwell Bracey, co-founder of Sure Fuel, speaks to CTV Calgary. A couple of Alberta entrepreneurs are betting that busy Canadians will be willing to pay more to fuel up their vehicles if it means never having to visit a gas station again. The startup Sure Fuel will allow drivers to sign into a smartphone app and order a fill-up at the touch of a button, no matter where they are in the city. The driver will leave their gas tank unlocked and a truck will show up to deliver the gas. The fuel will cost no more than the average price of gas in the local area. “We are always topping you up,” explains co-founder Maxwell Bracey. "We're really trying to eliminate your need to go to the gas station." Sure Fuel plans to charge $10 for a one-time fill-up, or $40 per month for unlimited service. An annual membership costs $480. Bracey hopes the service will be ready to go in Calgary and Toronto before the first snow falls this year. 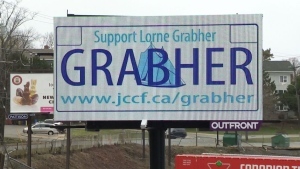 After that, they plan to roll it out in Edmonton and Vancouver. In the meantime, they’re signing up drivers. Anyone who owns a half-tonne pickup truck may be able to get a job with the service, according to Bracey. “It’s as simple as this: you’re going to come to our shop, we're going to decal you, we're going to put a skid on, train you in the technology and put you in the market,” he says. The service also offers windshield washer fluid top-up, engine oil top-up, windshield repairs and more.